Since 2013, Bithumb has been a stellar cryptocurrency exchange for South Korea. Based in Seoul, Bithumb often boasts more trading volume than any other South Korean exchange. Though Bithumb is accessible to traders all around the world, its primary market is Korean. Even so, It is consistently in the top 20 crypto exchanges in the world when it comes to Bitcoin volume. Bithumb has been steadily adding high quality crypto currencies to its list of supported assets, doubling its available options since the beginning of 2018. Still, Bithumb only accepts payments with the Korean Won. With no base BTC or ETH pairs, this means that most international users will be prevented from using Bithumb. This will prevent many of our readers from using Bithumb, but for these we’ll include a short guide about how to use eToro, a high quality alternative to conventional Bitcoin exchanges like Bithumb, while being available to a greater swathe of the crypto using international public. South Korea’s Bithumb is a trusted crypto exchange platform with a simple interface. It’s a great place for beginners to start, because the platform doesn’t offer overly complex features, and doesn’t load itself with superfluous or low-quality trading pairs. Bithumb supports only 22 currencies (in order of total traffic on 5/9/18): EOS, Ripple, Bitcoin Cash, Ethereum, Bitcoin, TRON, Mithril, Golem, Ethereum Classic, TRUM, aelf, ICON, VeChain, Kyber Network, Bitcoin Gold, Litecoin, Monaco, OmiseGO, Monero, HShare, Dash, ZCash. Each of these cryptocurrencies is of a fairly high quality. 22 is a small number when compared to other significant exchanges (Bittrex, Binance), but Bithumb prides itself on quality over quantity. For this reason, getting a new coin registered on Bithumb is a big deal for that coin’s dev team and community. Bithumb is a major gateway for South Korean investors, so when new coins are introduced on this platform, you can bet that their value is going to increase. Bithumb has simple trading features and an intuitive interface. Their customer support is responsive in multiple languages, but may be a little slow by some standards. Still, all things considered, we can recommend Bithumb for anyone who trades in Korean Won. Unfortunately, this represents a fairly small slice of our reader base, so we want to highlight an excellent alternative in eToro. eToro offers cryptocurrency speculations a new way to cash in on this booming movement. Though not available to investors in the United States, eToro has earned a great reputation in financial services since its founding more than a decade ago. Users can be confident that this is a regulation-compliant service with multiple layers of security and the highest of standards for preservation of user funds. They are also adding lots of new options fo crypto investors as the industry becomes ever more popular. Before we continue, we have to understand the difference between eToro and conventional exchange services like Bithumb. 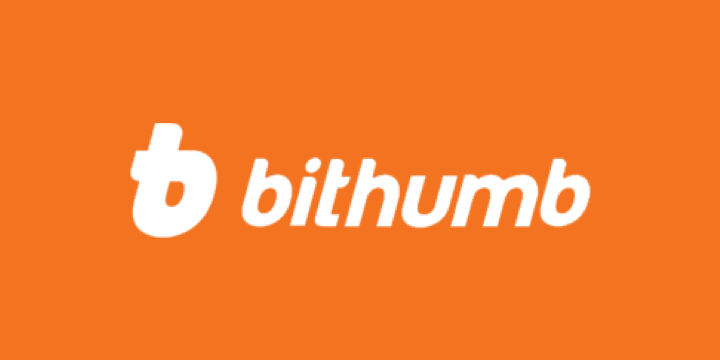 Bithumb provides liquidity for cryptocurrency purchases and sales. When a user buys Bitcoin on Bithumb, they usually transfer it to a software wallet they control on a personal device. Public addresses and private keys come into play – processes which tend to mystify the uninitiated. eToro doesn’t require its users to take on this kind of responsibility. In fact, they don’t sell Bitcoin (and other cryptocurrencies) at all. What they do sell are CFDs, contracts that allow users to lock in funds, dollar for dollar, for any amount of Bitcoin. It’s just as if they bought it on an exchange like Bithumb, but there are no transaction or storage worries. The contract stipulates that if the price of that amount of Bitcoin increases, the user can take out their initial investment and get all of the additional profit beside. If the price of Bitcoin goes down, and the user closes the contract, they are responsible to pay the difference out of their initial investment. Some people buy Bitcoin to spend it, but for most it’s still an investment vehicle. If you want to invest in Bitcoin, EOS, Etherum, and more, but don’t want to worry with the hazards and headaches of ownership, eToro could be just the thing for you. Bithumb’s fees are competitive with the largest international cryptocurrency exchanges, with 0.15% commission charged for all trades. Bithumb even undercuts the competition, on some occasions offering discount coupons bringing the cost down to just 0.01%-0.07%. That’s lower than just about everyone else, but again these are just temporary discount campaigns. Bithumb has no utility token, as is becoming so common with other large exchanges like Binance and KuCoin. Utility tokens are used to give users a discount on trading, while making sure they stay on the platform. If you were to use only BNB on Binance, for example, you’d likely save money compared to what you’d spend on Bithumb. But if you’re coming from Bittrex and its 0.20% fees, Bithumb will seem like quite the discount. Bithumb has a variety of fees for deposits and withdrawals as well. Instead of enumerating these one by one, here is an official image of their current Bithumb fees. It’s common for crypto currency exchanges that primarily serve a user base from a single nation to have fees that are higher than average. We are pleased to report that Bithumb’s fees are entirely reasonable, though you can find consistently lower rates if you’re willing to do your homework. One of the coolest things about Bithumb is how many languages they support. You can read the website in a number of languages, and 24/7 customer support is available by phone and email in Korean and English. The fact that English service comes standard is a pretty impressive feature for Bithumb, a service that does not primarily serve the Western world. Nonetheless, there are a fair amount of complaints that Bithumb customer support can be slow, unhelpful, or even unresponsive. It’s impossible to know whether this is the norm, or simply the complaints of a vocal minority. We tend to think that Bithumb’s service is better than average, and that any snafus are mostly due to the explosion in usership they have experienced during the past few years. While Bithumb may look like a fairly run-of-the-mill cryptocurrency exchange, it’s role in the South Korean crypto industry is highly significant. South Korea is one of the top crypto buying nations by daily trading volume, and it is thought that the average South Korean citizen is more aware of cryptocurrency than the man on the street just about everywhere else. The company has recently added support for ICON, a South Korean cryptocurrency aimed at interoperability between blockchains, and creating data communication channels between governments, universities, and other powerful entities. ICON ATM’s are now somewhat commonplace in South Korea – always an early adopter for strong new technologies. With the news that South Korea is going to allow ICOs to debut within their borders once more, we think that Bithumb is going to continue to up its status in the global crypto exchange community. It really could position itself as a kingmaker. Already, whenever Bithumb adds a new cryptocurrency to its platform, the cryptosphere goes nuts. This will only increase as South Korea further emerges on the world stage as a leader in cryptocurrency adoption and development. Signing up with Bithumb is a breeze, and there are different kinds of verification levels which will give you different user options depending on how much information you’re willing to give over to Bithumb. It’s important here to note that Bithumb has had one major hacking scandal, raising legitimate issues about how trustworthy the platform is. This is a relevant consideration when thinking about what personal information to give over. Bithumb hasn’t had any hacking recurrences in recent months, so it’s likely safe, but we did want to let you know. General Trade: a General trade is basically just a market order. You agree to pay for your desired cryptocurrency at whatever price it is currently available. Most people use this option, but doesn’t mean that the other options aren’t useful. Easy Trade: Easy trades show you the price of your desired asset changing in real time, and the buying action can be automated. Reserved Trade: Western users may never have heard of a “Reserved Trade” before, but that’s likely just a translation issue. This is the familiar Limit order, allowing users to buy their desired currency only when it reaches their desired price. Of course if you’re looking for a bargain and the price never goes that low again, your order will never be fulfilled. But if you’re willing to wait and get a little lucky, Reserved Trading can get you the best prices. As with any other cryptocurrency exchange, coins that you buy are stored in your bithumb wallet. Because Bithumb has had a hacking scandal in the past, we think it’s a good idea not to store your coins there any longer than you can possibly help. This is true of any exchange you buy on. When you want to buy a currency, go ahead and download the official digital wallet associated with that cryptocurrency, before you initiate the transaction. When the order is complete, send your new coins straight to the personal wallet you control. This way they’ll stay as safe as possible. We’ve already explained how Bithumb is something of a kingmaker in South Korean cryptocurrency. So how do you keep up with Bithumb news, possibly to give you early access to a coin before it goes live on Bithumb? As you might expect, most of the information out there about Bithumb is written in Korean. If you don’t read Korean, you will have a harder go than a native speaker, but your options don’t stop here. Bithumb forums on Bitcointalk and Bithumb news sources on the cryptocurrency communities on Reddit will give you early access to Bithumb news of all kinds, keeping you abreast of developments within this influential and growing cryptocurrency exchange. So should you use Bithumb for your next cryptocurrency purchase or sale? Well, that all depends on who you are an what your needs are. Firstly, you won’t be able to use Bithumb if you don’t use Korean Won (KRW). This is a major limiting factor. While it’s super helpful for Korean buyers that Bithumb allows payments for all its currencies with fiat money, non-Koreans likely won’t be able to use the site. But let’s say you are Korean (or that you at least use Korean Won for some reason). Bithumb is a high quality exchange that can meet your needs if you happen to want one of the couple dozen coins it supports. New users should be cautious when using Bithumb, however, because of the fact that it was hacked months ago, with the loss of huge amounts of user funds. It’s likely that this won’t happen again soon, but you should still take your coins off of Bithumb as soon as you buy them. Bithumb is simple to use, without so many features as to confuse the new user. If you are able to use Bithumb and want to use it to learn the cryptocurrency industry, it’s a great place to do this for the first time. Just be careful about how much personal info you reveal and how much money you put at risk. This is always true of crypto, but all the more with Bithumb. Nonetheless, we think Bithumb is a quality exchange if all of this applies to you.